Whatsapp is a simple instant message service with lots of features within it including sharing photos, videos, audio and more. It is the second popular stuff in tech world which reaches more to the people in short period of time. Facebook holds the first place in tech world. Whatsapp can be used in smartphones and tabs only which made it to be in second place. However whatsapp made many people to avoid facebook chat because many smartphone users feels comfort to use whatsapp than facebook. After the launch of whatsapp many facebook accounts were deactivated and most of the smartphone users starts to use whatsapp. If you are a Dual Sim Phone user than this article would be helpful for you to use multiple Whatsapp account in a device. That is you can use two whatsapp account in a device and important thing is you don’t need to root your phone to use this feature. Here we go to use multiple whatsapp account in a device without rooting. As the word rooting mentions this trick can be used in android smartphone only. If you are a iPhone or Windows phone user you can’t use this trick. Android is very famous because its a open source operating system and also there are lots of app with it which helps the users to get their necessary stuffs. To use multiple whatsapp account in a device we are going to use an app and the app named as OGWhatsapp. This app is not licensed by google and it can’t be downloaded from Google play store. 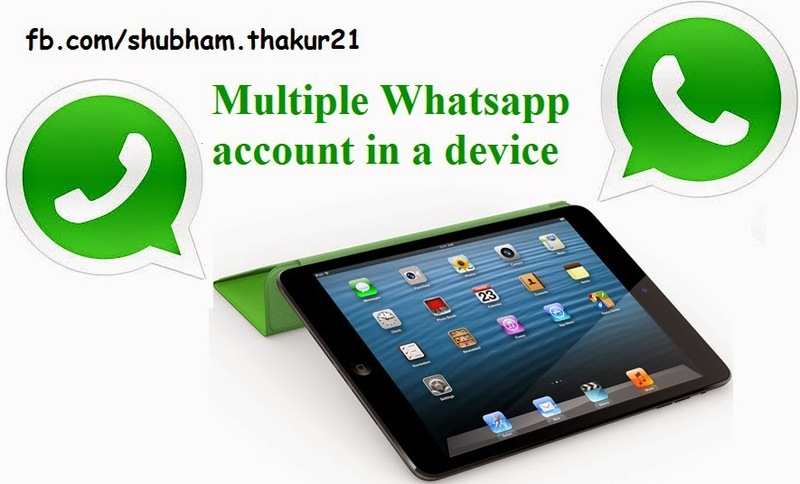 This app is a modified version of Whatsapp which helps to use multiple whatsapp account in a device at a same time. You don’t need to root android device to use this app. Before installing OGWhatsapp, Take a backup of all whatsapp message if needed. Now your device is ready to use multiple whatsapp account. If you found any trouble on installing it feel free to comment. We will give proper solution for your problem.